With the AirPods, iPad and Mac refreshes out of the way, we now know what not to expect at the Apple event next week which is expected to focus on the TV streaming service. For the third successive day, Apple has announced a refresh for its product lines. After the iPad Air and the iPad Mini, as well as the iMac 21.5 and the iMac 27, it is the turn of the much awaited update for the wireless buds, the AirPods. The updated AirPods are powered by the new Apple-designed H1 chip which enables longer battery life, faster wireless connections as well as the hands-free “Hey Siri” feature. No, they are not called AirPods 2. “AirPods delivered a magical wireless experience and have become one of the most beloved products we’ve ever made. They connect easily with all of your devices, and provide crystal clear sound and intuitive, innovative control of your music and audio. The world’s best wireless headphones just got even better with the new AirPods. They are powered by the new Apple-designed H1 chip which brings an extra hour of talk time, faster connections, hands-free ‘Hey Siri’ and the convenience of a new wireless battery case,” says Phil Schiller, Apple’s senior vice president of Worldwide Marketing. Apple says that the new H1 chip allows for up to one more hour of talk-time, compared with the current generation AirPods. This new chip will also enable faster switching between different devices, as well as the hands-free “Hey Siri”. The Siri virtual assistant feature on the AirPods will now work the same way as it works on your iPhone, iPad or Mac for instance, where you simply call out “Hey Siri” and then proceed to ask it play music, get navigation guidance or even send a message to a contact, for instance. Incidentally, our eagle eyed readers would perhaps remember that Apple had teased the “Hey Siri” feature for the AirPods as far back as September last year, in the opening movie that led up to the event which saw the launch of the iPhone XS and the iPhone XR. 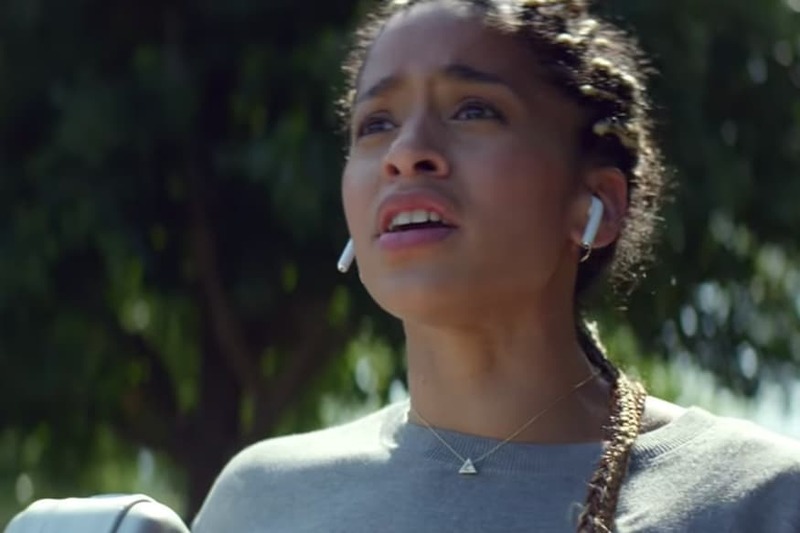 The opening movie saw young woman wearing AirPods run from the Apple Park ‘spaceship’ campus to the Steve Jobs Theater with a package that needed urgent delivery. She was wearing the AirPods. Along the way, she asks, "Hey, Siri, what's the fastest way to Steve Jobs Theater?" and didn't tap the AirPods to activate Siri—something you had to do with the previous AirPods to activate Siri, the virtual assistant. The interesting new upgrade is the additional battery capacity in the new charging cases, which now means the AirPods will be able to last more than 24 hours on a single charge—though Apple doesn’t exactly specify the exact increase in battery capacity. The wireless charging case is Qi enabled, which means it will be compatible with any Qi wireless you may already be using at the moment. The wireless charging case also has an LED indicator, which lets you know the current charging status at a quick glance.